THE FULL LOTUS IS A DESIGN TWIST ON THE LOTUS RING. THE MOUTNING IS DE-OX SILVER THAT DOESN'T TARNISH LIKE STERLING SILVER. 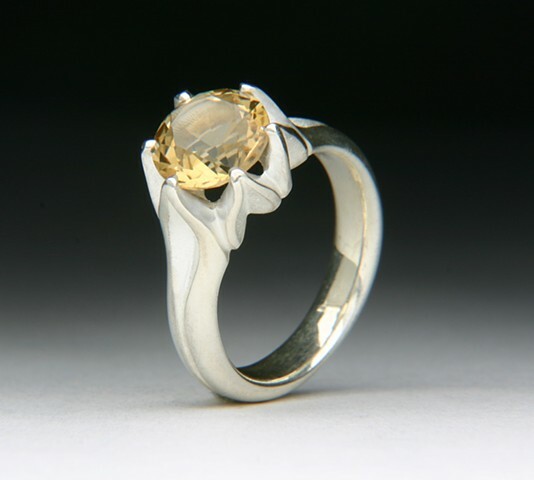 SET WITH AN AMAZING UNTREATED NATURAL YELLOW CITRINE.